The first step to getting more traffic will be your on-page SEO factors. You definitely should not ignore on-page SEO, but at the same time, there’s only so far you can take this. Nit-picking around a couple of title tags and a few keywords here and there, will not be the difference between having 1,000 visitors a month, or having 10,000 visitors. One of the key concepts which drive Google’s RankBrain algorithm is this – sort out the most valuable websites and content, and rank these at the top for their respective keywords. I.e. when someone searches for “how to get rid of mould in your bathroom”, it’s in everyone’s best interest to have the most useful and relevant piece of content appear in the top position. And at the beginning that was the whole point of the internet, everyone could publish content for the rest of the world to view and learn from. Unfortunately, somewhere down the line, people figured out that a “fast” way to rank better was to just make it seem like they had good, valuable content – and in essence, manipulate the search engines into giving them better rankings – and that would drive them more traffic and business. But whether it was about stuffing their desired keyword 1000 times in one page, or trying to build links from fake blogs to emulate natural link building , the aim was always the same. The basic concept of providing value in your website, being rewarded by search engines and then people finding your site was lost. It became a rat race, with people employing all kinds of questionable techniques to rank better. And obviously, every time Google caught onto one of these black hat trends – they would change the algorithm, penalize large numbers of sites and introduce an update which would level the playing field again). And then it would begin again, some other technique would be cooked up, everyone would start doing that… then BANG! Google hammers everyone again. And businesses, and non-clued up SEO’s are left licking their wounds and wondering what to do next. All along though, there has always been a better, more value-driven (albeit slower) way of doing SEO – which is white hat SEO. With the creation of truly valuable content and white hat link building being at the fore-front. I don’t want to get all new-agey, but I’ve always been a believer that whatever you give out, you may receive ten-fold. And SEO is no different. You need to create great content, in order to be able to implement a solid, white hat SEO strategy. And by great content, I mean something which addresses a problem your audience faces, something interesting, that makes their life easier and/or something very unique. It could be in any form. Whether it’s a free online calculator, a phone app, article or video – as long as its useful to your target audience. Nail that concept and you’re at least halfway there. Now, creating content is useful – but just having great content won’t be enough – you’ll need to then get this content in front of eyes, in order to drive traffic to the site. And while there are a number of on-page factors which affect the ranking ability of a page (which we have full control over), off-page is equally as important, and you need to utilise both facets of SEO in order to have an effective long term strategy – especially if the keywords are particularly competitive. And that’s where building links comes in. Whether that’s with industry associations, blogs of industry experts or companies in adjacent industries. If you can effectively build one-to-one relationships with the decision-makers in entities like these and have undeniably great content – you will greatly enhance your chances of getting a significant number of links to your site. Driving direct, referral traffic towards your site. This alone can send a lot of traffic to the website, and not having to solely on search engine’s for traffic can’t be a bad thing. Just imagine Google disappeared overnight and nobody was receiving any search traffic? All that would be left is either people directly typing your URL in… or referral traffic clicking through linked websites. Improving your backlink profile with contextual links – which in turn gives your site more authority, which improves your rankings on the search engine’s and increases your organic traffic. Creating brand awareness. With take more apparent effect later down the line, but even outside of the direct effect of increased traffic, this is also a useful benefit. 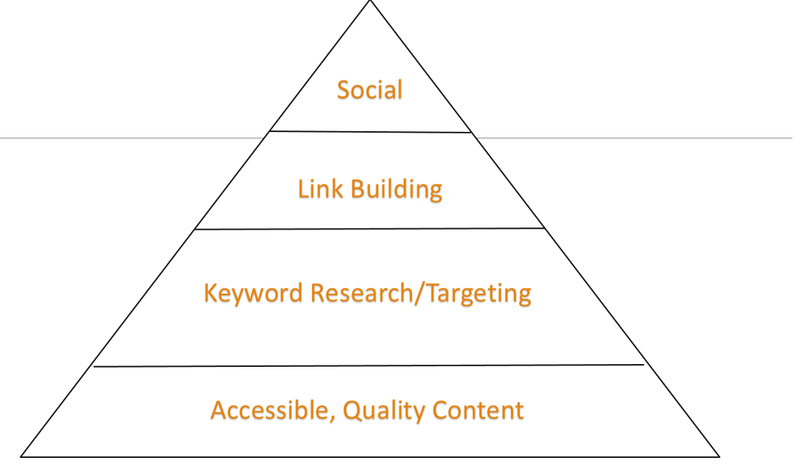 There may be so many other intangibles benefits when you try to employ link building. It acts almost as another networking tool. And while not every opportunity will turn into a link, it could still turn into some other kind of collaboration or positive business development. Key thing to bear in mind is – white hat SEO is a slower way of doing this. When it comes to white hat links, search engines will take time to even index the links and applying any effect to your rankings. However, if you’d rather continually increase your web traffic for years to come without any risk of penalty – and having a nice pot of gold waiting for you (i.e. dominating the rankings for your market), then it is a trade-off that is 100% worth it. I do need to also emphasise – by no means should you place less value on on-page SEO. It is also an extremely useful part of the puzzle and is something that will also have to be improved upon and worked on, hand in hand with any other online marketing you do.